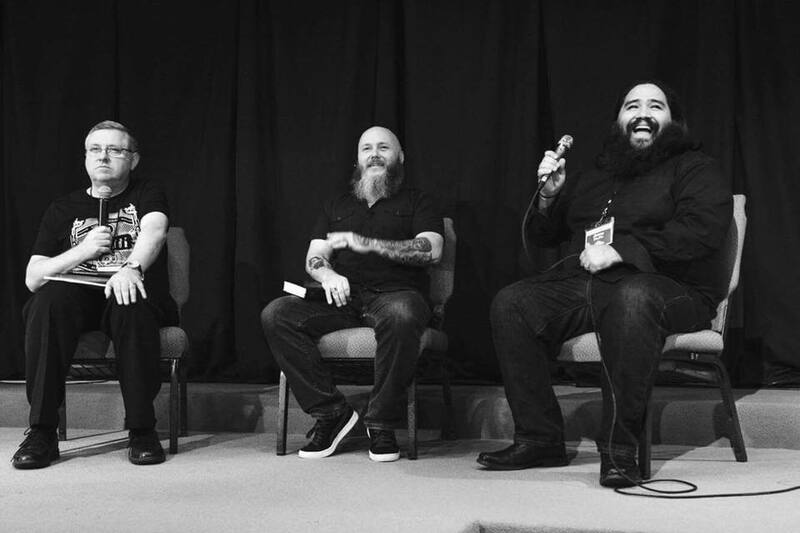 Our first Doctrine and Devotion conference was an amazing event, and it wasn't because of Jimmy and Joe. It was made awesome by all who registered and volunteered to make everything come together. Thank you to the 216 people who showed up, especially all who flew or drove in from out of state. It meant so much that you would make such a sacrifice for this gathering. Texas, California, Georgia, Florida, Utah, and many other states were represented. Big thanks to Krista McDunn who oversaw the whole conference and all her volunteers worked hard to create an environment that was hospitable, warm, and fun. Thanks to New Covenant Bible Church who hosted us, and to Brad Nelson who took so many great photos. Joe and Jimmy kicked things off in a way that you would expect from listening to the podcast. Jimmy even went Facebook Live on everyone. But after this is was down to serious business with three lectures by Dr. Renihan, one by Joe, and a Q&A panel with Doc, Joe, and Jimmy. Dr. Renihan unpacked confessionalism for us in such a way that everyone was encourared and stretched. If you want to know what confessions are and why they are important, then you need to listen to these lectures. 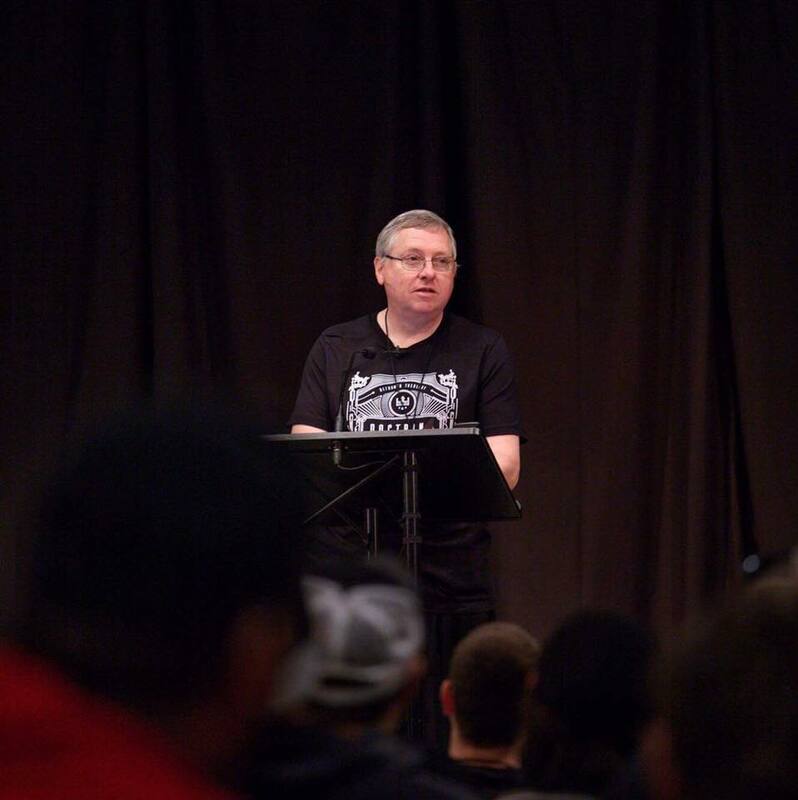 Just before Doc's last lecture he surprised everyone by teaching in the official 2017 D&D tee. This photo from the Q&A session is a pretty good representation of the conference. It's one of our favorite shots. 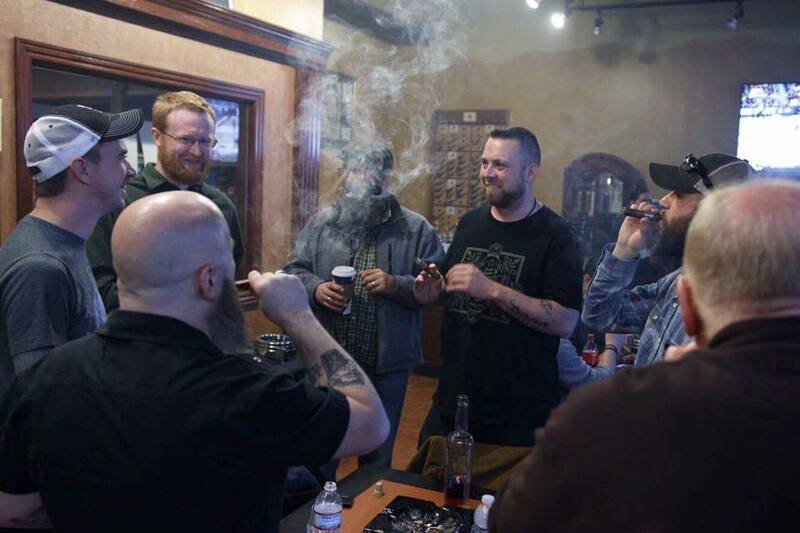 As promised, Joe and Jimmy invited people to hang out at the local cigar shop frequently mentioned on the podcast. 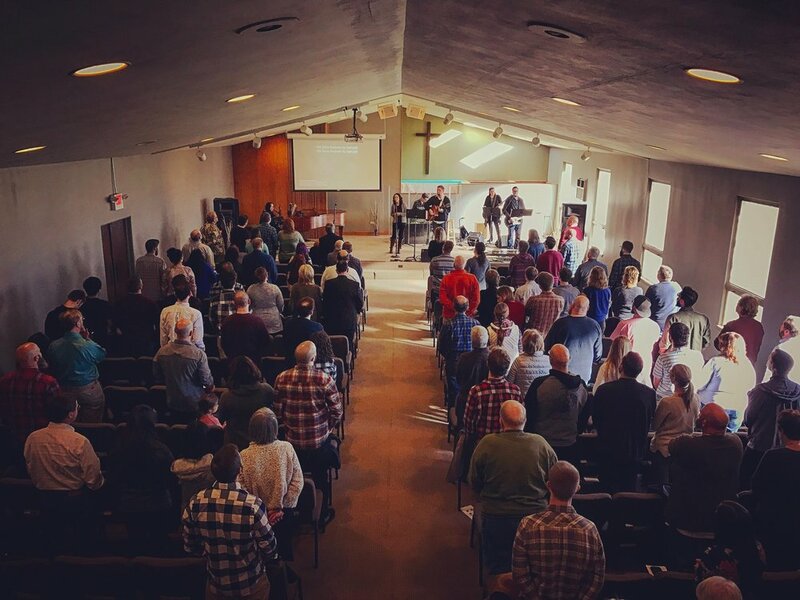 A few of the conference attendees joined us for worship. Jimmy took a shot of the early service. If you missed the conference you will be able to order the videos of all four sessions and the Q&A very soon.